Over the years, Spyderco has manufactured (and discontinued) a folding CLIPIT called the MeerKat, and it has a small secret. Whenever the MeerKat has been discontinued to make way for new products, within two years the public begins calling for a Sprint Run short term revival to bring it back. 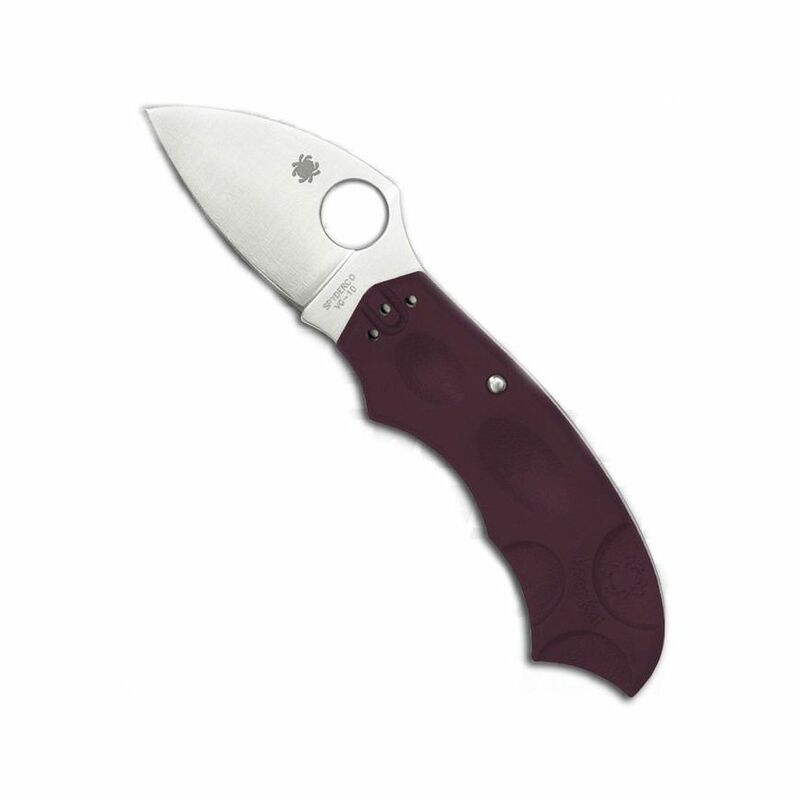 Happy to oblige, Spyderco is re-releasing as a 2012 Sprint Run MeerKat with a burgundy handle. The newest MeerKat, just like the first, carries its secret in the locking mechanism. Inside the handle is a pressure release locking system called a Phantom Lock. The locked blade is unlocked/closed by placing the thumb on one side of the handle and fingers on the other and simultaneously sliding the handle scales in opposite directions. Although not visible, the lock’s mechanics offer a safe, secure and unusual method to lock and unlock the blade that few figure out on their own without a hint or demonstration. The Sprint Run MeerKat’s handle is burgundy FRN (fiberglass reinforced nylon), angularly-shaped with divots scooped from both sides of the scales for better grip and ergonomic comfort. Its flat-ground VG-10 blade is a modified drop-point shape that is just under two-inches in length with a raised thumb cusp on the blade’s spine. An ambidextrous deep pocket-wire clip positions the knife for carry tip-down in a pocket. Small and acceptable for unobtrusive carry most anywhere, Meerkats are an ideal folder for everyday carry or make an excellent money clip.